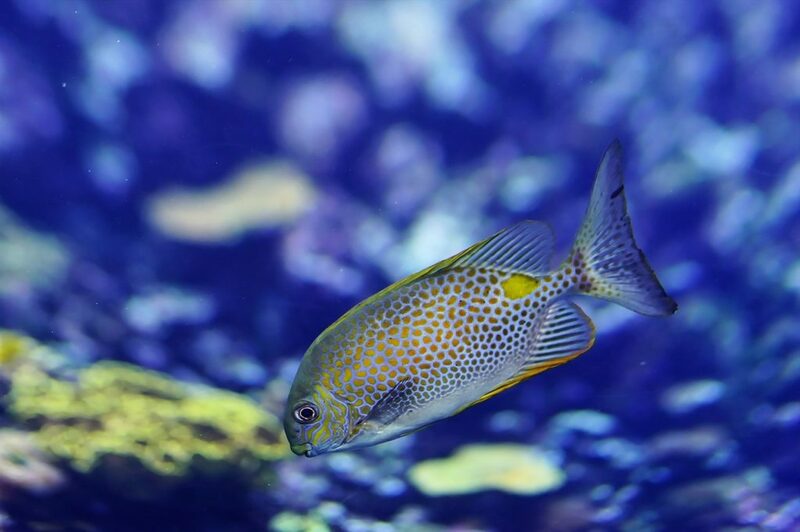 The best environment for tropical fish, regardless of whether they are freshwater fish or saltwater fish, is one that maintains somewhere between 78 and 84 degrees Fahrenheit, 25.5 and 29 degrees Celsius. That might be easy to maintain for some but for many the temperature of the place where the fish tank is kept may require an aquarium heater to maintain livable warmth for your marine fish to thrive in their home. 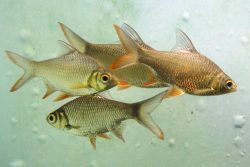 Heaters for fish tanks are not uncommon and they’re not hard to setup and use either, the trick is making sure you get the right one for your fish and the size of your fish tank. The rule of thumb here is 3 to 5 watts of heat per gallon of water in the tank. For example, if you have a large, 10 gallon fish tank then you’re going to need something that outputs 30 to 50 watts of heat. Keeping the heat output in that range will keep the fish happy and healthy. 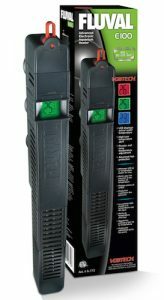 In this buyers guide we will cover multiple brands of aquarium heaters that each offer a number of different wattages. Pay attention to the wattage and the size of your tank no matter which brand you choose. The wattage ratings range from 25 watts all the way up to 400 watts of the best aquarium heaters. As far as things to keep in mind besides the wattage to water volume ratio mentioned above, you’ll want to do research on what your own outlets and electricity ranges can handle so that you don’t overload the circuit. Anything that produces heat uses a lot of electricity and could easily short your power if not monitored closely and rated correctly for your aquarium size. You should always calibrate your heater prior to using it with live fish as you want to make sure that it is calibrated to the right temperature and also that it is in good working condition. Nothing would be worse if it is malfunctioning and you didn’t check before putting it in your aquarium with your beautiful and precious fish. You may ask yourself how do you calibrate an aquarium heater? You are in luck! The process we like to use is outlined below. To calibrate it, submerge the heater in a container (or a fish tank with no fish) long and large enough to accommodate it and set it to a temperature. We like to use the temperature we plan to set it to for the aquarium, which is between 78F and 84F. Let it sit for about an hour or more and stir every 15 to 20 minutes. After an hour, use a thermometer that you know is accurate and check that the temperature matches what you set it to. If it does, you can leave it be and recheck in 30 minutes to verify or start using it in your aquarium. If it is not the right temperature, adjust the calibration ring or the method outlined in the manual, and check back in another hour while continuing to stir periodically. If it is the right temperature now, it is safe to use it in your aquarium. If it is not, recalibrate again. If it is not correct after a 3rd time, try another container to make sure nothing else is affecting its ability to work. If after all of that it still does not get the water to the right temperature, you should look to get it replaced or choose another model or brand. These heater for fish tanks are designed for both freshwater and saltwater aquariums. It’s shatter proof and claims to be nearly indestructible, should accidents happen. It has a power monitor light, it’s full submersible in water, and utilizes a thermostat for temperature readings regularly. The heaters comes with a lifetime guarantee. 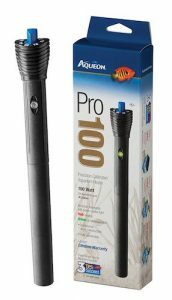 It offers aquarium heater sizes in 50 watts, 100 watts, 150 watts, 200 watts, and 250 watts. They includes two clip on suction cups that allow it to be mounted anywhere in the body of a small fish tank or a large aquarium. It sticks well to both glass and acrylic aquariums. One big thing to keep in mind is that, while it is completely submersible, there is the danger of the heater rusting at certain parts which can seriously endanger your fish. Because of this, it might not last as long as promised in certain fish tanks. These fit into any tank with a capacity from 13 gallons (50 watt) all the way up to 75 gallons (300 watt). It has an easy to manipulate and use temperature setting and is fully submersible in the tank. It’s good for a small fish tank heater or a large submersible aquarium heater depending on the size you choose. It maintains a temperature anywhere between 68 and 93 degrees Fahrenheit, 20 and 34 degrees Celsius. It can be mounted horizontal or vertical using to two included suction cups on any part of the small fish tank wall. The biggest thing to watch out for this heater is that it can short out which can mean disaster and danger for your fish. It doesn’t happen often and is always a danger with heaters, but you’ll want to watch this closely (and any heater) for up kicks in temperature that can lead to shorting out and danger for the denizens of your aquarium. Like the others, this one is fully submersible and has a couple of safety features the others do not. It has a safety control that protects against running dry and an auto-off feature that will turn of when the water level dips to low. There is an internal TruTemp dial that recalibrates internally to ensure accurate temperature readings and regulation. 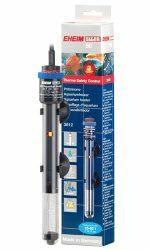 This fish tank water heater offers the most options from a small aquarium heater (25 watt) all the way up to large fish tanks (300 watt), with all models including the extra safety features described above. It’s made of shock and impact resistant materials and is designed for freshwater as well as saltwater. There’s an on/off indicator for quick and easy monitoring without a hassle. The instructions for this heater aren’t incredibly clear but it’s not very hard to figure out how to correctly calibrate and set it up. The danger here is that this heater has been known to heat past a set temperature which can be deadly for your fish if not monitored, so you’ll want to keep a close eye on it while getting used to using it and during the calibration process. This is yet another fully submersible aquarium heater that offers five aquarium water heater sizes starting from 50 watts and going up to 300 watts. It has a precise temperature setting, accurate within 1 degree Fahrenheit and maintains anywhere between 68 degrees and 88 degrees Fahrenheit (20 to 31 degrees Celsius). It’s constructed from shatter and impact resistant material and includes an auto-off safety feature to prevent overheating in your small fish aquarium. It also includes a 6-foot power cord so it can be utilized with some mobility and reach within your home or office. 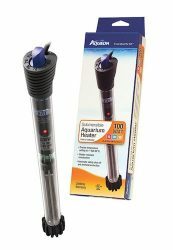 These aquarium heaters are very light, ranging from 8 to 10.5 ounces. It can sit horizontal or vertical in a tank in comes in a number of sizes depending on your fish tank needs. While it does not automatically shut off when removed from water or during a water change, it is easy to turn on and off for quick transport. The only danger with this one is the possibility of a leak which can lead to condensation and taking on water inside the thermometer. The result there is, obviously, inaccurate readings. 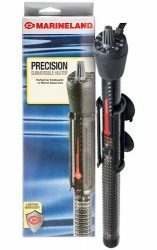 Fully submersible with dual temperature sensors to provide the most accurate and real time water temperature readings. The LCD temperature display is easy to read and is available both in Fahrenheit and Celsius, depending on your needs. It sits anywhere between 68 degrees and 93 degrees Fahrenheit (20 to 34 degrees Celsius). The heating technology works fast and includes an auto-off feature. There’s also an integrated guard for any living creatures in the tank from fish to invertebrates. This electronic aquarium heater has three size options. The first is designed for aquariums up to 30 gallons and outputs up to 100 watts. The second is designed for aquariums up to 65 gallons and outputs up to 200 watts. The final model is designed for aquariums up to 100 gallons and outputs up to 300 watts. Due to them being electronic, they are heavier that other fish tank heaters. The temperature accuracy is within ½ degree Fahrenheit and includes a color sensor to alert you when external sources heat or cool the water more than 5.5 degrees. The one real drawback here is that while the heater is readable, the temperature reading can be a bit unreadable and even die out even when the heater is still working (which could render the heater useless without being able to read the temperature). Fully submersible heater designed for a tanks from 12 gallons (50 watt) all the way up to 125 gallons(400 watts), which is the largest wattage rating offered in this buyers guide. The temperature is adjustable up and down by 1 degree Fahrenheit with each turn of the temperature dial. There is a Thermal Switch feature with an auto-off that monitors rises and falls in temperature and, should the heat rise, it will resume heating once a normal fish tank temperature returns. The heating element uses a mica core surrounded by mesh heating elements. This has an advanced mounting system which utilizes a bracket for secure attachment to glass and has up to three possible positions for accurate viewing of temperature display. While it can be placed anywhere in the tank, it should not be buried in any way or blocked to ensure the most accurate readings. 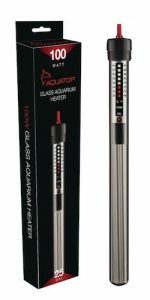 While it is highly accurate while it’s working, it does not have the promise of lasting as long as some of the other heaters on this list of the best fish tank heaters. So if you’re looking for a lifetime investment on a heater, this isn’t the best choice to go with, but will last at least a couple of years. Partially submersible fish tank heater that includes built-in reflective technology that mirrors surrounding colors so it blends in to the aquarium for both aesthetic purposes and for the safety of your fish. It is shock resistant with borosilicate glass and has a high-density ceramic heat stick for durability. It’s a slim tube with a small profile. It’s easy to install and offers four sizes starting at 50 watts and going up to 200 watts in 50 watt increments. As mentioned, this isn’t meant to be completely covered in water, it’s designed to have a bit of air at the top and has easy to read water level guides to ensure it’s placed safely in tank water levels. It includes an auto-off feature once the desired aquarium temperature is reached and maintained. While it is impact proof, it is not completely resistant to all breakage and the borosilicate glass can break if put under enough pressure so keep an eye on that to ensure the heater is safe and maintained. 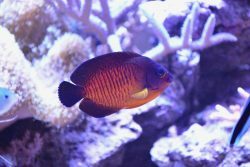 These are seven great options for the best fish tank heaters if your lamp just isn’t cutting it for you or your aquarium kit did not include an aquarium heater controller. There are fully submersible aquarium heaters as well as partial ones depending on your needs, and even an electronic option if you prefer. The majority of them are accurate within 1 degree or so and include safety features to make sure the health and safety of your fish is maintained with the temperature of the water. 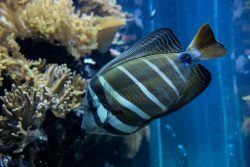 Hopefully this buyer’s guide for the best aquarium heaters works for you to find the perfect heater and gave you some great safety tips to ensure the safety and vitality of both your tropical fish and marine fish. Let us know in the comments what you use for your heater and if you prefer one brand over the other.